The Bourgeois family’s impact on Erath began when Clement Bourgeois Sr. began working as a postal clerk and met then-postmistress Josephine Bussy. They fell in love and married. In 1907, tragedy struck the young couple when Josephine died while giving birth along with one of her twins. Thereafter, Clement Bourgeois Sr. was appointed the new Erath postmaster. Later, widower Clement Bourgeois Sr. married Marie Antoinette Rodi and from then until their retirement in 1953, the Bourgeois couple alternated as postmaster and postmistress. The Bourgeois couple had two sons, Robert and Clement Jr., who was born on February 15, 1913. Upon retirement, their son Clement Jr. replaced the couple and served as postmaster until 1977. Robert Bourgeois also worked for the Post Office for 17 years; he died on April 12, 1999. Robert was married to Rita Mae Motty and had two children, Robert Daniel and Rita Ann Bourgeois Guilbeaux. Having served the area for a total of seven decades, the Bourgeois family is considered Erath’s “first” family of the town’s postal service. In addition to his many years of community service, “Junior,” as he was affectionately known by all, laid the basics for documenting Erath's historical legacy by researching local history, recording information and preserving photographs. His research and years of devotion to chronicling the town’s history eventually earned him the title of Erath's "first historian". Bourgeois was a quintessential “Renaissance man.” Through his love of research and reading, he had a life-time journey of self-education. The World War II veteran particularly loved reading about history, art and genealogy. Bourgeois’ family included his wife, the former Louise John, the daughter of Lebanese immigrant, Saleem John and Latifie Gabriel John. The John family settled in the Erath area just after 1900. They built a home at 110 West Bourque. Saleem John acquired a lot at 115 West Edwards and opened a grocery store, which stood until the property was acquired in the mid-60's for construction of the Erath City Hall and Post Office. The Johns had thirteen children. Doumit, a nephew of Louise John, was raised by the Saleem John family and later by the Bourgeois couple. Their family was very active in the Erath community and Our Lady of Lourdes Catholic Church. Doumit attended school in Erath. He currently holds a baccalaureate degree in chemistry from UL. He obtained MAT, MS (chemistry), and Ph.D. (inorganic chemistry) degrees from Tulane and did post doctoral research and studies at the University of Alabama. His teaching career has spanned 33 years at Mississippi University for Women. He has been married to Karen Reed for 37 years and they have a son, Kevin, and three grandchildren. 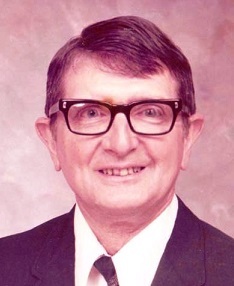 On July 20, 2006, Clement Bourgeois Jr. died, but not without leaving behind a lasting legacy that has enlightened the town residents about Erath’s past. Through his commitment and service to his beloved hometown Bourgeois has made a definite mark as Erath's historian. In remembrance of his life’s work, the Bourgeois family has donated many of his artifacts and historic photographs to the Acadian Museum, a priceless gift for the community that will reap dividends for generations to come. It is evident that Bourgeois’ life made a difference. If there is truth in Einstein’s statement “Only a life lived for others is a life worthwhile,” then the same truth holds that Clement Bourgeois Jr.’s life was indeed one that was worthwhile.